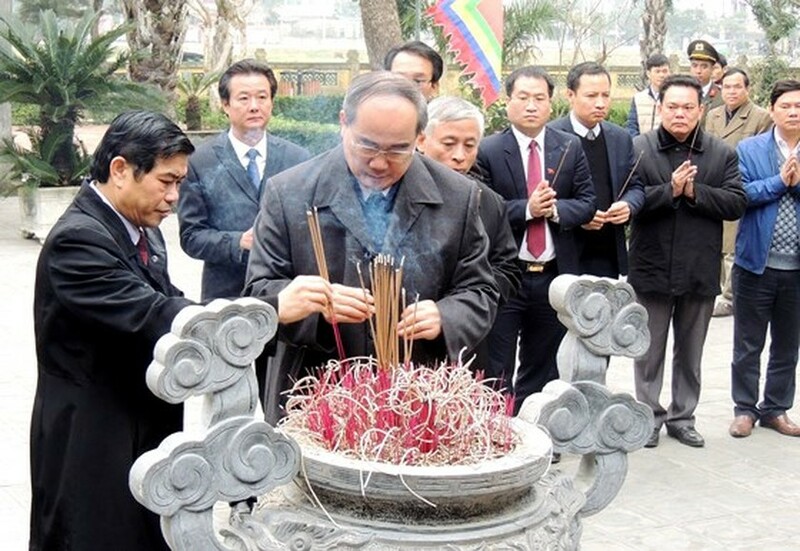 Politburo member, Secretary of the Ho Chi Minh City Party Committee Nguyen Thien Nhan on February 6 led a high- ranking delegation to visit and offer incense at Nguyen Du Memorial House in Tien Dien Commune, Nghi Xuan District in the north central coastal province of Ha Tinh. 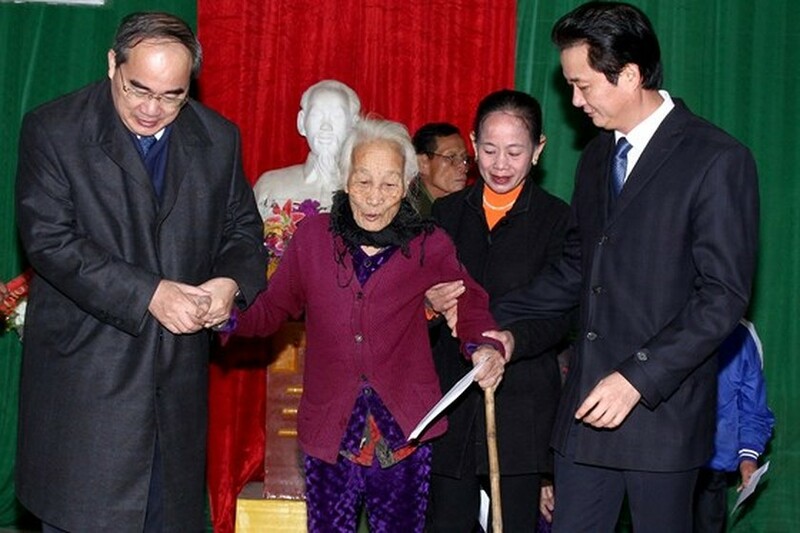 He expressed deep appreciation and gratitude to great poet Nguyen Du for his valuable masterpieces that have been left to the humanity. 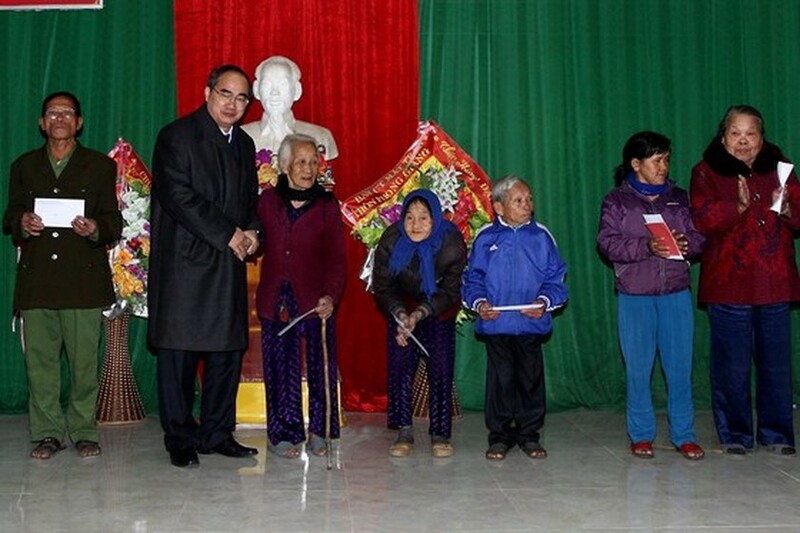 Mr. Nguyen Thien Nhan and the delegation visited and offered gifts to policy beneficiary families and disadvantaged households in Phong Giang village, Tien Dien Commune, as well as highlighted the emulation movement of building new-style rural areas in Tien Dien Commune. On the same day, he extended Tet greetings to families of 10 unmarried girls who laid down their lives for the country's independence at the Dong Loc Intersection (on July 24, 1968). 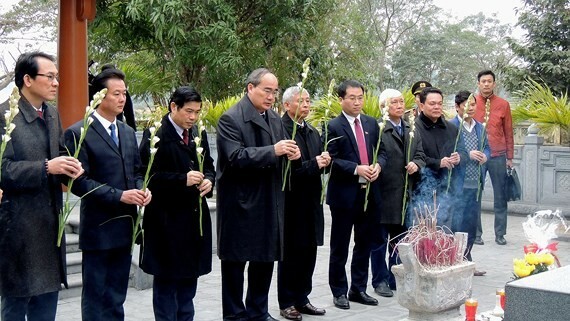 The Secretary of the Ho Chi Minh City Party Committee Nguyen Thien Nhan also offered incenses and flowers to martyrs at Dong Loc T-junction site. 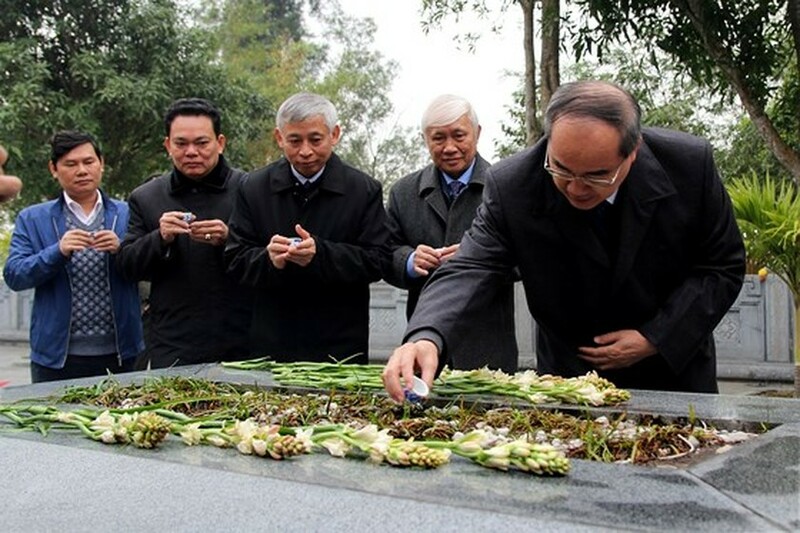 He expressed regret over sacrificing their lives for their country and was grateful for heroes’ great contribution to the national liberation. 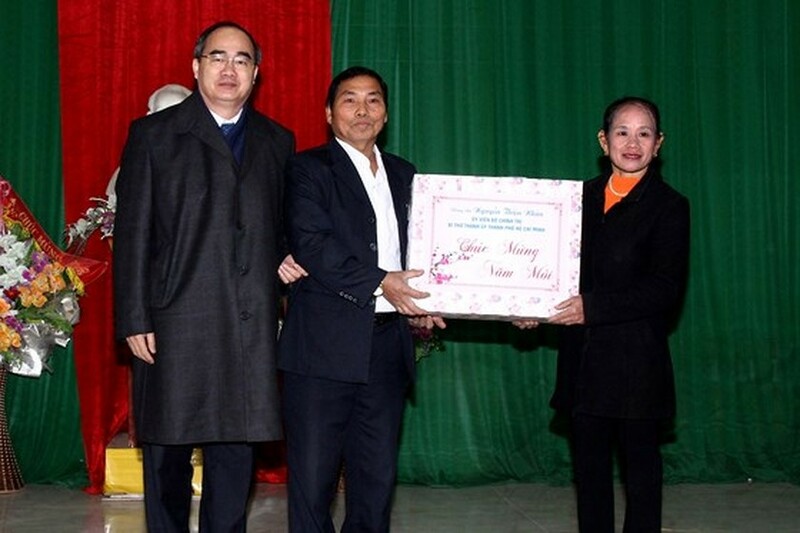 Secretary of the Ho Chi Minh City Party Committee Nguyen Thien Nhan offered gifts to policy beneficiary families in Nghi Xuan District. He highlights the emulation movement of building new-style rural areas in Phong Giang Commune.